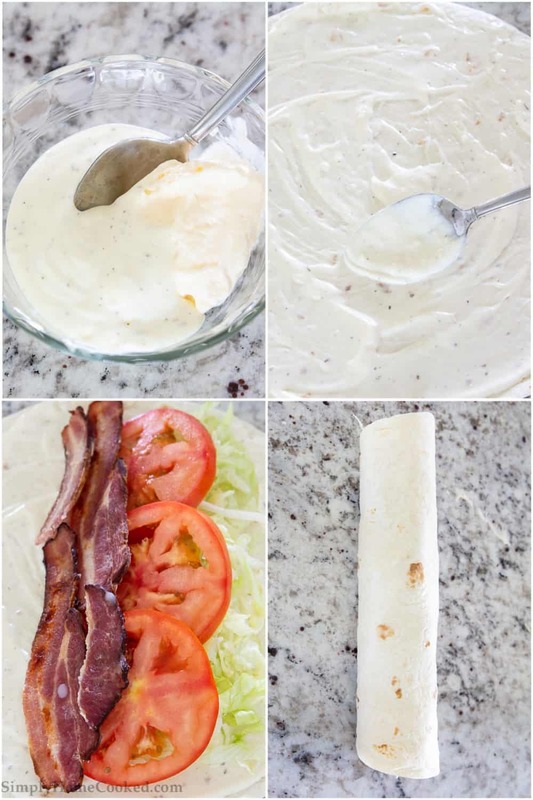 Only 6 ingredients and a few minutes is all you need to make a delicious BLT wrap. It’s a quick (or even on the go) kind of food that doesn’t require much preparation. 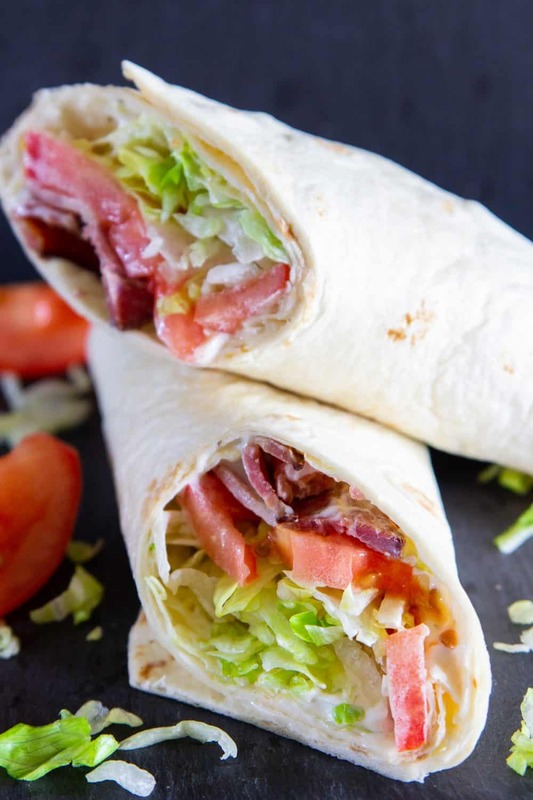 This BLT wrap would also make a great school lunch of after-school snack. A big thank you to Fred Meyer for sponsoring this recipe! Combine the mayonnaise and ranch. Spread this mixture onto both flour tortillas. 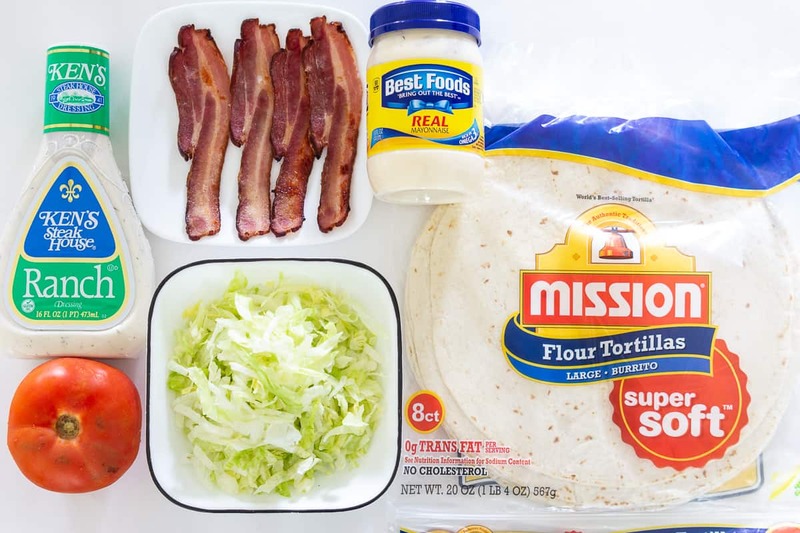 Assemble the wrap by placing the cooked bacon, tomato slices, and lettuce into the middle of the tortilla. Roll up tightly a serve cold or at room temperature.